As a lifelong learner, an educator dedicated to improving my craft and a mom of twin boys, I have learned that I have to be thoughtful in how I invest in my time. I am always on the lookout for summer reading materials and books for educators that will not only help me grow me as a learner, but also provide concrete tools for my classroom, actionable strategies for my learners, and some peace-of-mind that I am doing a decent job in raising my always curious boys. 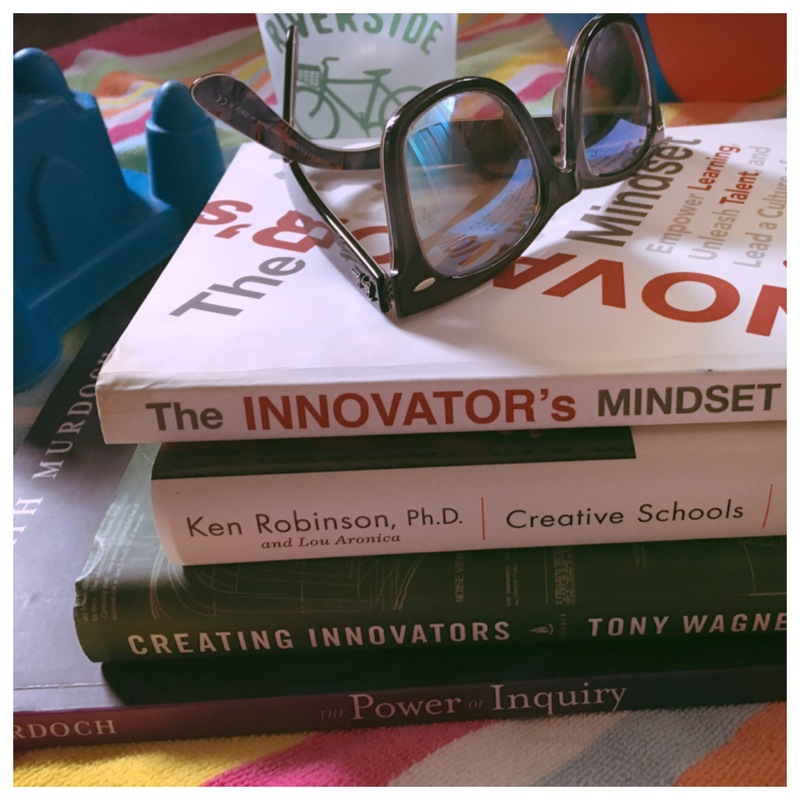 In this two-part series, I will share with you some of the most refreshing books out there that will recharge your thinking on innovation, global-mindedness and social-emotional awareness. Play. Passion. Purpose. Forces that drive innovative youngsters. In Creating Innovators, Dr. Tony Wagner, a celebrated educator, author and founder of Harvard’s Change Leadership Group explains the importance of raising innovative thinkers in today’s world. His shares stories from both classrooms and the business world to highlight the importance of fostering innovation in young learners. I have scribbled all over this book, and have used its arguments and examples in my communication with administrators and parents. A bonus feature of this book includes ever-changing content on the book website. How important is innovation? Here’s a sneak-peek into Tony Wagner’s thinking, and I promise you, the book is a must for the invested educator. It’s no secret that George Couros won so many hearts and minds at #ISTE2016 with his speech on digital citizenship. His book Innovator’s Mindset gives us today’s tools to empower our students by making our teaching relevant to their lives. Each chapter draws you further into realizing the power we possess in creating a culture of innovation. Couros provides actionable steps to form a shared vision and turn it into reality. You will walk away from the book with renewed commitment to yourself and to your learners. Watch George’s TedEdxBurnsvilleEd talk to whet your appetite for his way of thinking. You will see that the “voice” in his book is just as inspiring as his talk. And while you’re at it, check out his blog. Took me a few books including Teach Like a Pirate by Dave Burgess, Explore Like a Pirate by Michael Matera, and Play Like a Pirate by Quinn Rollins to really get into the pirate theme explored by Dave Burgess:“Pirates are daring, adventurous, and willing to set forth into uncharted territories with no guarantee of success. They reject the status quo and refuse to conform to any society that stifles creativity and independence. They are entrepreneurs who take risks and are willing to travel to the ends of the earth for that which they value.” And I am so glad to see same spirit in Paul’s Learn Like a Pirate, where he focuses on the essential makings of a 21st Century learner in a 21st century student-led classroom. His engaging voice validates all that we believe in transforming teaching and learning. Empower the students! At her TedxVancouverED talk, the amazing Kath Murdoch invited us to explore the Power of Ummmm…. She has been exploring this idea for many years across the globe. 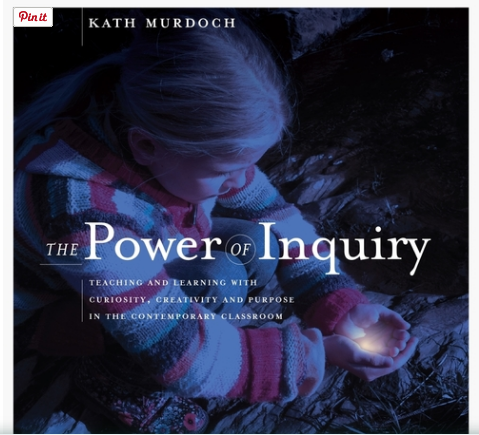 I love her recent book, The Power of Inquiry, so much that I think every educator, new or seasoned, should read it. It’s a cover to cover kind of a read where you get incredibly smart tips from setting up your classroom to infusing inquiry into your learner’s experience to incorporating global mindedness. You will find all the essential elements of a 21st century classroom here. This book inspired me to revise my “Genius Hour” according to Murdoch’s suggestions of iTIME, which helped me guide my learners to turn their passions into tangible projects. Equipped with these five books, you can build or add on to your summer reading list, and continue your journey to transform teaching and learning. In our village, we raise 21st century learners. Please join us in celebrating these precious summer days, and remember to give us your feedback! Thank you Esra...So kind and honoured to be shared with so many other great reads. Thank you again! Thank you Esra for a great list! I believe there are going to be tremendous changes in K -12 education. In most cases children are utilizing the technological advances to their advantage. K - 12 education is also evolving and looking for new ideas and methods. Your list proves the point. Articles and books like these comfort parents like me.